Former Maharashtra Chief Minister Ashok Chavan has written to Prithviraj Chavan and the state chief secretary, claiming that the Adarsh inquiry Commission report does not do him justice and is against the principles of natural justice. Sources close to Ashok Chavan said that in the letter, he has objected to the Commission reneging on its assurance to hear his side of the story. "The report is bad and great injustice has been done to me. Before indicting me, the Commission did not hear my contention. This, despite it being specifically brought to its notice that if it was passing strictures against me, then as per section 8 of the Commissions Of Inquiry Act, I should have been heard," the sources quoted Ashok Chavan as saying in the letter to the chief minister and Chief Secretary J S Saharia. "The concerned were aware that as per the Act, if the reputation of a person is likely to be prejudicially affected by an inquiry, the commission shall give him a reasonable opportunity of being heard and produce evidence in his defence," the sources said. "The government will take note of the letter. It has also received representations from a section of bureaucrats indicted by the inquiry Commission," a Mantralaya official said. 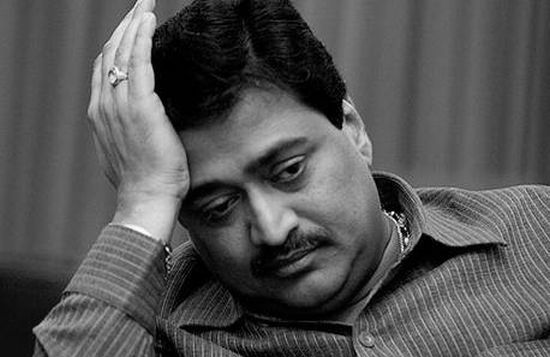 In its report, the Commission observed that while Ashok Chavan cannot be said to have favoured or obliged the Adarsh Co-operative Housing Society by allowing civilians to become members, his approval of non-deduction of 15 per cent recreational ground while calculating FSI cannot be treated as an innocent act. "We are not concerned with the legality or otherwise of the said decision. It may be legal and justifiable... However, this decision when followed by the grant of membership and allotment of flats to his close relatives becomes indicative of quid pro quo," the Commission said in its report. Sources close to Ashok Chavan said, "There is no connection between him and the then state government's decision to reduce the width of the proposed 60.97-metre Captain Prakash Pethe Marg near the Adarsh Society. It was entirely an urban development department related matter and there was no role of Ashok Chavan as the then Revenue minister." The Maharashtra government had, on December 20, rejected the Commission's report on the Adarsh scam, tabled in the state assembly. However, after Rahul Gandhi's intervention the government this month decided to partially implement the panel's recommendations, which the Opposition has alleged, favours politicians while putting the onus only on bureaucrats.